NieR Music Concert and Talk Live also set for Blu-ray release. 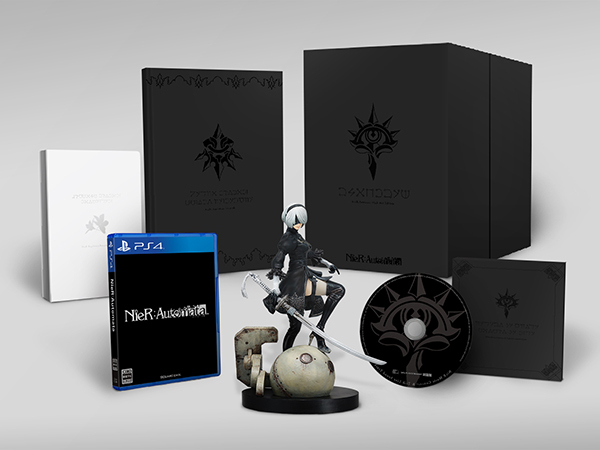 Square Enix announced a “Black Box Edition” limited edition of NieR: Automata during a stage event at Tokyo Game Show 2016. In related news, Square Enix announced that it plans to release the NieR Music Concert and Talk Live from back in April on Blu-ray disc. Further details will be announced at a later date. NieR: Automata will launch for PlayStation 4 in Japan on February 23. It is due out for PlayStation 4 and PC in early 2017 in North America and Europe. View high-res images of the Black Box Edition at the gallery.